Spring stripes for the new season. If there’s one thing which can cheer up a dreary end of January in an instant and specifically Blue Monday, it’s got to be vibrant spring stripes. There’s something about the new season stripes which happen to be jam-packed with beautifully clashy hues and plenty of zesty happy-making colour which just makes me smile. Regular readers of Notes From a Stylist will already have clocked that I’m not that averse to a stripe on the best of days. A Breton top paired with a trench, skinny jeans and flats is never too far from my outfit choices in spring, whilst a crisp stripe shirt dress is my go to for a work look once summer arrives. So you’ll understand my excitement regarding the new slew of colourful stripes which are heading our way this season. I’d had my eye on this Me + Em cashmere knit for a while and eventually caved and got it into my hot sweaty little mitts the other week – and I must say I’m so pleased I did. If you haven’t come across Me + Em yet they create a mean collection of contemporary pieces each season which should definitely be added to your hit list. Their trousers tend to come up slightly on the long side so not ideal for us shorties – but if you’re lucky enough to be on the tall side you will love this brand. I’ve paired it here with these J. 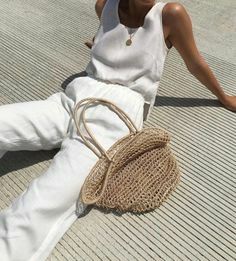 Crew wide leg crop pants which are another must have and come in petite for us height challenged gals – they also come in a pile of summer-perfect colours so snap yours up now before they’re gone. The key to pulling off stripes any time of year is to ensure you’re opting for the right size stripe to suit your proportions. If you’re smaller look for thin stripes and vice versa for larger gals. Stripes also have magical body shaping powers – horizontal stripes make you look wider whilst vertical stripes longer. If you’re pear-shaped a striped top should be your new best friend as it balances out your proportions in a nanosecond. Also, vertical stripes on the new season shirt dresses heading our way soon are ideal for elongating your silhouette. If you’re not sure which body type you are pop over to our Start Here page to find out more. Spring Stripes… where to shop. So where to snap up your dream stripe knits? There’s plenty out there to choose from. I’m a big fan of investing in cashmere but if your budget doesn’t stretch to that check out merino wool or plain cotton tees as the warmer weather approaches. 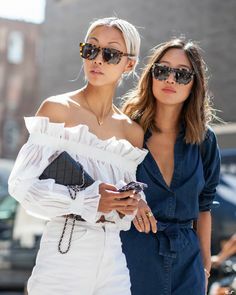 There’s something available at everyone’s price point – just remember to look out for colour clashes and brights as well as pastel hues to stay on trend. Here are some of my faves out there right now. Click the images to shop. #AffiliateLinks used. Previous Post 5 Scandi Brands to try this season. 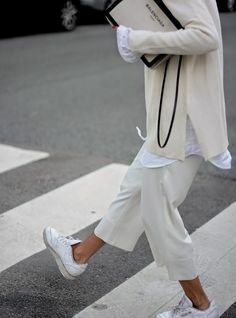 Next Post Sneaker trends to try for Spring.